In 1996, I created Blue Highway, a font based Canada/U.S. highway sign lettering. The original version was kind of a mess and subsequent versions weren’t much better. In 2004 I discontinued Blue Highway & replaced it with Expressway. But some people still prefer Blue Highway, despite the technical problems. Recently, I rebuilt Blue Highway and retained the clunkiness, goofy charm & cost of the original (free). The Blue Highway family includes Regular, Bold, Condensed “D” & Linocut styles. 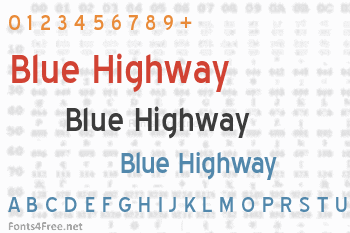 Blue Highway font contains 391 defined characters and 302 unique glyphs. 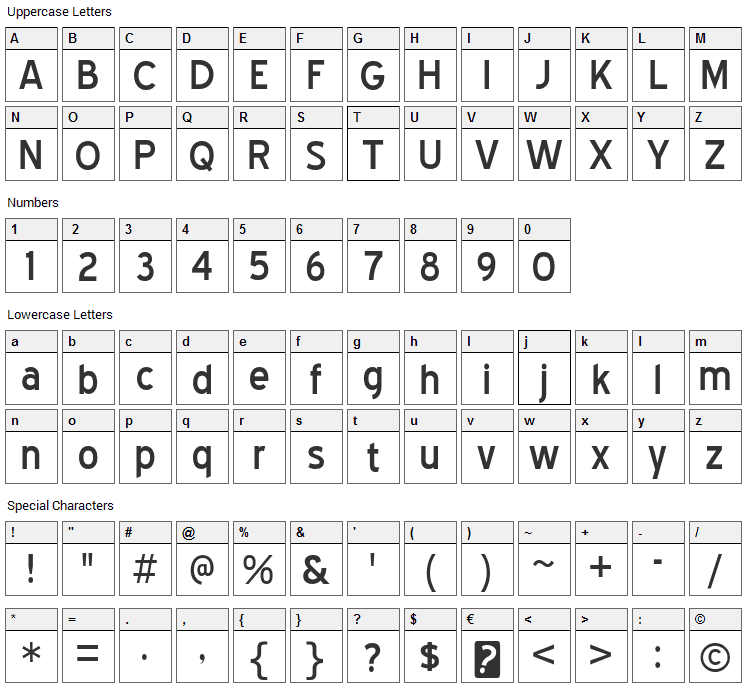 The font contains characters from the following unicode character ranges: Basic Latin (93), Latin-1 Supplement (93), Latin Extended-A (113), Latin Extended-B (5), Spacing Modifier Letters (8), Greek and Coptic (4), Latin Extended Additional (8), General Punctuation (16), Superscripts and Subscripts (17), Currency Symbols (1), Letterlike Symbols (2), Number Forms (6), Arrows (8), Mathematical Operators (11), Geometric Shapes (1), Private Use Area (1), Alphabetic Presentation Forms (2). Blue Highway is a basic, sans-serif font designed by Typodermic Fonts. The font is licensed as Free. The font is free for both personel and commercial usages. In doubt please refer to the readme file in the font package or contact the designer directly from typodermicfonts.com.